View from Backyard of R House in Syracuse which is now being built as part of "From the Ground Up" building competition. The home was designed to fit into an existing urban landscape. 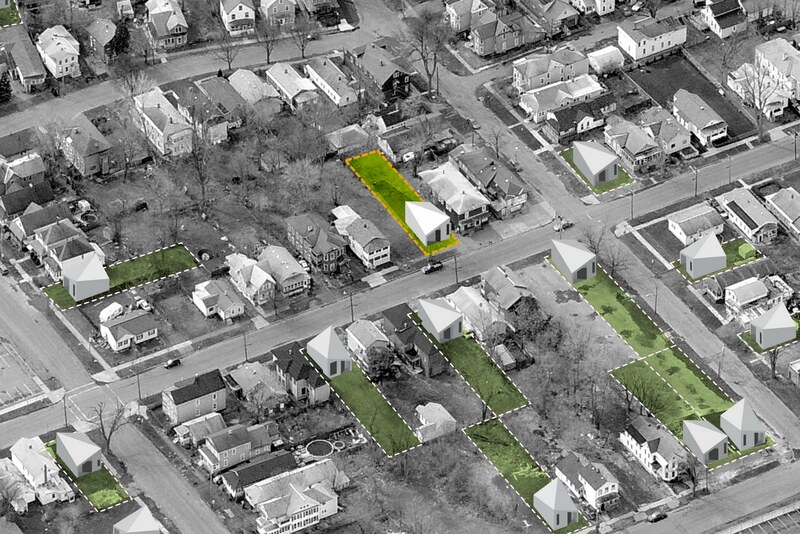 The R House was one of the winners of a recent building competition called "From the Ground Up" which was held in conjunction with the Syracuse Center of Excellence and Syracuse-based Home Headquarters as part of their initiative to revitalize the near west side neighborhood of Syracuse. A goal of the competition was "to draw out the most advanced thinking about design, sustainability, and cost-effective building practices." And, draw out the most advanced, cost-effective thinking, it did. The 1,150 sf R House, which has an additional 1,150 sf in the basement, was built for only $125,000 and was designed to be an almost-zero-energy home, meaning it will consume almost no energy at all. The small amount of energy it uses can be easily offset by adding some minimal renewable technology. Picture of R House Model at various proposed locations in Syracuse. criteria which adheres to the concept that homes can be so well designed and built they need no conventional heating and cooling systems whatsoever. The R House is one of only a few homes in the U.S. built under the standards established by the Passiv Haus Institut in Darmstadt, Germany. David White of Brooklyn-based Right Environments consulted on the project and explained some technical details: "The main heating system is a hot water coil in the fresh air stream. This is the classic Passive House heating system. The original Passivhaus concept was based on heating the house by doing no more than heating up the (circulating) fresh air (which was needed anyway for hygienic reasons). This eliminated the normal boiler, pump, hot water piping and radiator with thermostat in every room that is typical in Germany where the Passivhaus system originated." Picture of R House under construction this summer. 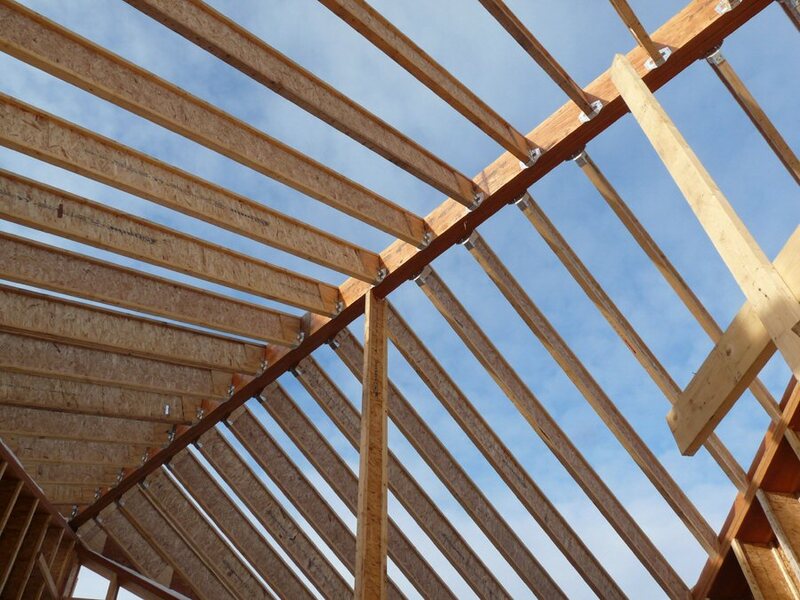 Competing teams in the "Built From the Ground Up" competition had eight weeks to develop designs for a low-cost, sustainable home capable of being built for no more than $150,000 inclusive of fees and site work. The R of R House refers to R value of insulation and it was no huge surprise to learn the house has R-70 insulation and an extra thick frame filled with blown cellulose insulation that creates an air tight house. The design of R House was a collaborative process executed by the team of NYC-based architects Della Valle Bernheimer and Architecture Research Office. David White reported that he "introduced the Passive House concept to the team, critiqued many iterations of formal concepts, gave guidelines for glazing ratios, developed the construction details for thermal insulation and air tightness, did all the energy and peak load calculations, designed the entire mechanical system and trouble shot the air leakage." Picture of R House Initial Frame. The finished interior will have insulation that is 16" deep with a value of approximately R-70. Garrick Jones, studio director of Della Valle Bernheimer, was very excited to be part of the R House project and told me: "The Passive House tenets are hard to achieve, but basic. In a Passive House it takes very little energy to heat and cool. We incorporated an HRV system which captures the heat as it exhausts the air. The home is inspired by the Passive House model which is an amalgamation of thirty years of green and net zero practices." Garrick emphasized the basic tenets of Passive House design: "Design an air tight envelope, have high R value walls and windows, locate and size the windows correctly and utilize passive solar gain from the south." In speaking with members of the team behind R House, I learned that the house was not exactly net zero energy. The house uses natural gas to heat both the hot water and heating coil in the air system. This I did not like because of my aversion to Natural Gas and all the downsides and environmental costs associated with extracting gas from the ground, especially by hydraulic fracturing. The R House also has a few small electric heaters as back up. But, all in all, the R House performs extremely well, using a small fraction of the energy that similar sized homes use. Besides, for not an unreasonable additional up front cost, the gas used in the R House could be offset by investing in a solar thermal hot water system. Or, the home could utilize an on demand electric hot water heater for the domestic hot water and to heat the heating coil for the air system. The electric used by the on demand heater could easily be offset with a small solar PV system. The R House designers state: "Wrapped within its iconic exterior are expansive and luminous spaces..."
The real exciting point to the Passive House concept is it shows us how to practically build an almost zero net energy home which does not over rely on expensive renewable technology or fancy bells and whistles. Yes, Green technology is extremely important. Yet, technology can almost make us immune to understanding that energy efficiency and cutting back on the initial consumption and demand for power is far more renewable than the renewable technology that is breaking into the market. 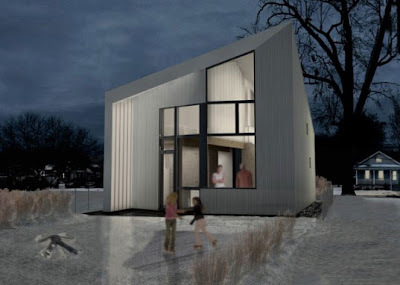 The R House and Passive House concept stands as a testament that building zero energy homes, even in climates that can get very cold and/or very hot, is feasible and affordable right now and not just in the far distant future. There is just no excuse not to do it. 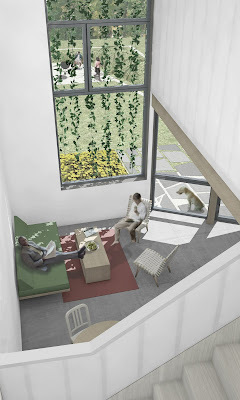 The designers of the R House intended to "present an affordable, innovative paradigm for minimal to net-zero energy consumption embodied in architecture that is meant to nurture the spirit and engage the community as much as it is meant to perform in terms of cost and sustainability." I spoke with inventor Brian Wiley of Wiley Electronics who plans to build a Passive House in Ulster County, NY. In explaining why he chose to build a Passive House, Brian said he was not happy with the way most people were building homes today. 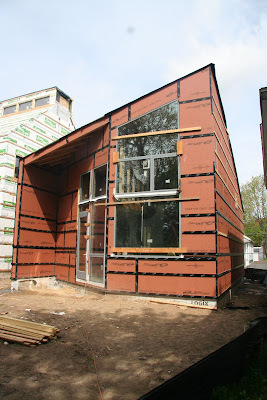 So, he took a Passive House training course in Boston to learn how to build his own home in Woodstock, NY. Brian was very enthusiastic about the training program: "The great thing was to connect with a lot of people building this way. 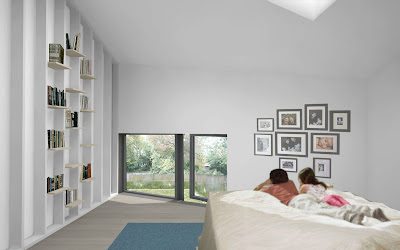 The Passive House idea is to reduce the amount of energy needed. Reducing energy needed is so much easier to fulfill than finding new sources of energy." The R House and the Passive House building method demonstrates that hi tech green building is low tech to start and, really, a simple concept. As Russian poet and writer Boris Pasternak--author of the legendary novel Doctor Zhivago--told his ambitious friend Vladimir Mayakovsky--the futurist Russian revolutionary writer who wanted desperately to change the world: "Despite all your grand schemes and revelations, sometimes simplicity is the greatest need." Architects come up with so many innovative ideas for the sake of saving environment. Really good and beautiful design.